Have you looked at your thermal insulation lately? 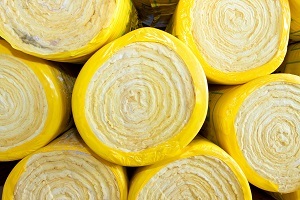 If your insulation is missing or damaged in parts of your home, it might not be doing its job like it should. 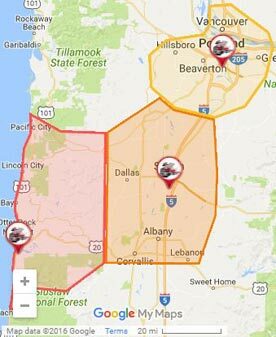 Call up The Killers Crawl Space Restoration and we can check it out for you. We regularly inspect thermal insulation in Salem to make sure our customers can be comfortable and combat the both the weather and their power bills. If your home isn’t insulated properly, you can probably feel the effects of harsh weather more than most. During the cool Winter months, the cold air can seep through the structure of your home and has nothing to stop it when it gets in, so it goes straight to you. The same can be said for summer; there’s no buffer between the outside of your home and the scorching outdoor heat. You can turn up your heating and cooling if you have it, but the price adds up fast. The problem may be with your insulation. What is insulation made from? Thermal Insulation is used in buildings to reduce the transfer of heat both in and out of a building. 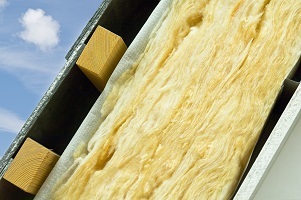 There are many possible insulation materials such as cellulose, polyurethane foam, and mineral wool. But the most commonly used material these days is fiberglass. Fiberglass has a low thermal conductivity, so heat doesn’t move through it well. It’s made of plastic and tiny pieces of glass, so be careful when handling it and don’t breathe it in! What are some common problems with insulation? Water can damage many sections of your home. If enough of it gets into your insulation, it doesn’t work properly and the moisture can cause mold or other issues. Your vapor barrier might not be working properly. If this is the case, your home isn’t getting ventilated like it should and you may need to have it removed or replaced. There could be rodents or pests using it as a home. Some pests use insulation as a home to build their nests, and we can help take care of them for you. You may have an issue with your crawl space. We can inspect your entire crawl space and do crawl space restoration including insulation replacement and removal. Want us to check out your crawl space too? When inspecting the insulation of your home we can fix other crawl space problems you have as well! With over 25 years of experience, we’re ready to handle any problems with your crawl space you have, including your home insulation. Our experienced crawl space experts are ready for anything, and we’re not even scared of spiders! (Anymore!) So if you suspect that there might be a problem with your wall insulation but don’t want to venture into the areas where you can find it, give us a call or contact us for help today!